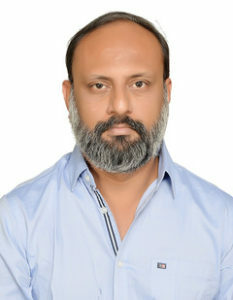 Dr Abdul Mohammed Ali Jinnah is working as an Associate Professor of English in the PG and Research Department of English, Jamal Mohamed College (Autonomous) affiliated to Bharathidasan University, Tiruchirappalli, Tamil Nadu. He has an experience of 18 years in the teaching vocation. A Gold Medallist from The Central University of Pondicherry, he also holds a Junior Research Fellowship from The University Grants Commission. His doctoral thesis is titled Interrogating Marginality: A Study of the Immigrants’ Journey Towards Self/Space in the Selected Fictional Writings of M. G. Vassanji, Neil Bissoondath, Shyam Selvadurai and Sky Lee for which he was awarded PhD in the year 2008. His areas of expertise include Post colonialist Fiction, Feminist Narratives and New Historicist discourses. Dr Jinnah has completed a UGC Minor Research Project on Partition Literature. Dr Jinnah has also delivered 75 invited special lectures on various aspects of literature and literary theory in India. He has published 43 papers in refereed journals. He is a reviewer for Common Ground Research Network, University of Illinois Research Park. He has conducted numerous soft skills training programmes and his lecture series include Emotional intelligence, Time management and Motivational Skills. At present he is working on two books, focussing on Soft Skills which are expected to see publication this year. He is one of the EC Members of FSLE-India for its Tamil Nadu Region.